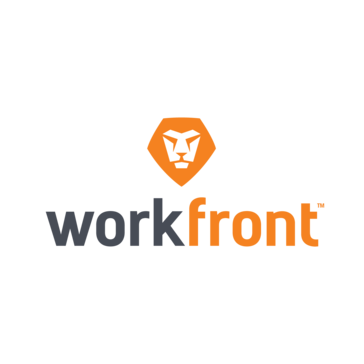 Do you work for Workfront? Learning about Workfront? We can help. "Good base but needs additional functionality options"
I like that I can see all of my projects at one glance. It works well across large departments. The overall look of workfront is bulky and could use some slimming. There are too many options, and a color code would be helpful as well as all the tasks look the same at one glance. Training and bring in specialists as Workfront is not easy to use, depending on what your company does you will need to tailor workfront to suit your needs. We use workfront for a global creative company, the software is glitchy and does not let us do essential functions. We cannot lazy reply so often comments get missed. We are inundated with too many notifications and tasks. CLients cannot upload documents after the initial request. This is not ideal and ends with email being used instead of all communication happening within the application. There is also no way to finish a task and have it sit within another department, i.e., design task completed and the task then goes to proofing. Instead, it stays with the designer. "Amazingly Robust Project Management Software"
The basic project management capabilities, the continuous innovation and adaptations we are able to implement, and how it can become whatever tool you need it to be when you set it up the right way. I miss my old project management software's "start/stop" timer for tracking time, but apparently they are considering adding this to workfront. Know your systems before you go into implementation. Spend the extra money and time to get your workflow to best translate into the system. This is mandatory to have a good experience. Once it's all set up, the learning curve is manageable, and your homework will be worthwhile. I was an end user, and used it to account for my time, track my projects from start to finish, share proofs, get feedback, and communicate with internal clients. Now I am managing the projects for the end users, and it is more robust than I ever knew! I am able to make reports that make my design team's lives easier, their clients lives easier, and with their mobile apps, my sales team's lives easier. "Workfront is great once you get past the learning curve." I like that the entire workflow processes are transparent. This provides my colleagues and me the capability to see what's happening at each step of the process. Like any other enterprise systemt that's customized, there's going to be a learning curve for the comapny. Additionally, there are going to be things that will be implemented that you'll find won't work. Just adapt, update, and it'll be much better. Provided you're willing to go through the growing pains implementing the product, you shoud absolutely use it. It needs to be customized to your needs and you need to be willing to take the time to make that happen. The workflow tools are great for communication and discussion across teams, but you have to get the steps down correctly. We've solved a lot of workflow problems that resulted from legacy systems that were in place. We're seeing greater communication and clarity with our tasks. Thanks for taking the time to write a review. We appreciate customer feedback and we're glad to hear you're having a good experience! If you ever need any assistance and are not sure who to contact, please feel free to reach out to our Customer Care team at 844.306.4357. We appreciate your business! "Workfront is a PM Tool Win"
The visibility, reporting functionality and accountability of user is what I like most about Workfront. In addition, the support one receives from the company is quite remarkable. I have used several PM tools, but, Workfront surpasses them all in so many facets. There were several things that I didn't care for about Workfront such as once you deleted a file, it was gone forever. Workfront addressed what I dislike and now they are a feature in the tool; thank you Workfront for listening to your customers! When a company is looking for an amazing PM tool, there are several important benefits that are essential for success of the tool. The reporting functionality was they yes. Other tools had many of the benefits that Workfront offers, however, the reporting was what sold us. Efficiency, accuracy and visibility of projects were the initial business problems to be resolved. Within a few months, the Creative team was not just able to resolve the business problem, but able to explore new creative opportunities because we were working more efficiently; BIG WIN! This software, called Workfront, allows teamwork, collaboration and the management of documents and projects to be much easier, since it has a wide variety of tools and configurations that make communication and work easier. I think the only thing that Workfront needs is to improve the interface a bit, since I consider it to be little updated to the current times. But they only need to improve that aspect a bit, the rest is very well developed. Collaborative work is basic in a company and with software like this it is allowed to be not only easier, but also much more complete. It has helped to save many economic resources thanks to allowing a collaboration between different users, simplifying projects and being able to work with documents more quickly. "Workfront totally transformed how we work as a team"
Weve been with workfront for a few months and have gradually added more modules to our platform. I like how we now have a view over all the work the marketing team is producing, how we have standardised requests from our stakeholders and how we have transformed our sign-off process to be 100% digital through workfront. Not much! We have just added the DAM functionality in the last year and i think there is room for improvement in the the UI there. Make sure you spend the time getting to know the system and getting it set up to meet your needs. Also take baby steps in introducing others to it. There's so much is=t can do that it might sema bit overwhelming at first. But stick with it - its worth it. We needed to standardise how we kept track of campaigns, how we took requests from the business, how we managed sign offs and also standardise campaign processes. While making sure everyone we worked with had full visibility of our work. "Workfront is more important to me than Outlook"
I love the reporting capabilities. I also love the platform itself and the ability to customize it for my team and our needs. Working on a project with team members across functional teams (and even across offices) is no longer a big "to do." Each person knows what is expected of them and the tool creates accountability. It has become one of my "always open" programs, similar to my email. Today? Nothing; the tool and its accompanying mobile app is always improving based on customer recommendations. Originally, the ability to customize was overwhelming, and there was no one "correct" way to build something out. Once I was able to determine my team's needs, this became less of an issue. Workfront has provided my department with a way to streamline our request intake, allocate to available resources, and track volume by both functional team and by practice group, which is especially important for our executive leadership to have reports on. We had close to zero processes before Workfront, and reporting on any one thing was a challenge and often included hours of digging through email. I can't choose just one thing. The integrated proofing tool has been amazing. It allows me to create automated review and approval workflows that my designers can then select for proofing. And the in-tool annotation function is excellent -- it takes any guesswork out of the process altogether. In addition to that, the reporting has been beyond excellent. If you are, in any way, inclined to do so, you can easily create custom reports on virtually any field within Workfront -- including fields that you create in Workfront's custom forms. This function is invaluable. On a particular project, most updates/comments will show up on the main 'updates' tab. The only updates/comments that will not show up are ones that are put directly onto documents or made within the proof tool. This is a very small issue, but one none-the-less. Don't be intimidated by how robust Workfront is. Even if you don't need all of the functionality that it has to offer now, you may need it in the future. It is extremely scalable. Workfront is giving us a uniform way to submit creative requests, gather information to complete projects, manage resources, manage workflow, track statuses, proof deliverables, and report on virtually an infinite number of metrics. Workfront has revolutionized the way that we are receiving project requests and keeping track of our projects. "Easy to use project management software with minor hiccups"
From a general user perspective it's relatively easy to use and navigate to know what work is assigned to you and the ability to leave comments in tasks as well as in document proofs. The highlight for me is that it integrates with email (Outlook for me) so that I get updates, comments, etc. in my email and can respond via email if I'm remote and don't have access to Workfront. While it's easy to get away with the basics to hobble along, unless you are properly trained by someone in this software prior to using (or have experience with a competitor) you will miss or not understand MUCH of its functionality. I've been using it for almost a year and half, and there are still so many things I'm just now learning. So make sure you're trained properly or else you might have a steep learning curve. Or if you're satisfied with bare minimum use as a contributor and not a PM yourself, then perhaps this isn't as big of a deal. Also, we've dealt with some annoying downtime and delayed response. We've had almost full workdays where it is "down" and unusable (NOT on a scheduled maintenance day). There have also been days where its update system doesn't notify people for hours after your comment or request, so you have sit in the program and hit refresh constantly if that happens, which can be annoying. It doesn't happen frequently, more like once a quarter. If you don't have experience using this or a similar product, do some training and research. It's a very complex program with lots of capabilities that are not readily apparent to a first time user. Workfront is the software our company uses for project management. Our PMs manage our instance while individual contributors such as myself comment, approve, and do timesheets. We've benefitted from having our projects and timesheets in the same place--it makes it much easier to keep track of hours for our agency. I work on a team where each of us are separated individually across the united states. Workfront enables us to collectively collaborate on a common project setting individual goals. Project managers can invite users, send out updates and set goals to be marked as complete by individual users. Definitely a AAA+ option for global team project collaborations. Live chat would be nice. Not sure on cost versus RIO but would definitely say this product is worth its weight. Make use of the built in feature of this product and you will be hard pressed to find it lacking for your needs. Unifying multiple team projects across more than one platform. Workfront allows our IT teams in a corporate environment to collaborate and work on individual team goals. Our IT teams are spread across not only the United States but global locations. Workfront enables us to work collaboratively toward common tasks and goals/resolutions. "Potential to make Awesome with good planning. Easy to pick up with CRM background." I like that there are visual options you can add to reports and when you are managing resources. It makes it so much easy to see things are a glance. when your busy. I am new to Workfront but its been easy to pick up with my CRM background and its easy to pick up the Workfront specific things. The learning Ascent environment and webinars really help to understand how and why Workfront does the things it does. This includes there API guide when I do some coding to go pass the standard reporting options. I came in late to the implementation and am seeing that its overwhelming for users to see all the information and the multiple way to do or find things. Mostly for the non-project managers. I am also seeing the long click paths too time consuming for users. At 3 you've lost people. Lucky there are some setup things you can do. Transparency between teams and client. Creating a documented trail to follow on the production side for everyone to tap into. Its helping us to define roles more (ie Project manager vs Account Exec etc) Having everything is one place is helping get better metrics and improve timelines. "Workfront is the most robust project and asset management software I have ever used"
Creating smart custom forms has really streamlined our job request process and has made capturing initial necessary information so much easier for the marketing dept. Creating custom reports that are available in real time - in a dashboard helps keep workflow transparent and easy to follow. Request queues - routing rules - user access levels help further define user interface. we were under tremendous time crunch upon implementation and roll-out and I do not think we were able to think through proofHQ connection. I find somewhat of a disconnect between the two and often have to try and troubleshoot issues myself. I highly recommend this product. I would definitely choose to take on the role of a full time administrator as opposed to having more than one person try to work full time and handle admin duties as ir can be overwhelming and time consuming. we are able to use same software across several departments for the first time. we are also able to integrate external customers with limited access in order to streamline customer requests to mktg who then determine if job will continue by adding additional smart forms that correspond to specific templates for schedules. very easy to manipulate schedules for those outlayer projects that don't always fit process. I like the fact that regardless of the process, the tool has the ability to flex for all the divisions of my organization. It does this with integrated project management thought and tools without the end user even realizing that these principles are being applied. When used to its full capacity, your team can be better project managers without even knowing they are project managers. The good is often the bad at the same time. Because of the many capabilities, users can become easily overwhelmed with the functionality. This is easily managed through the creation of templates and training, but it is something to be aware of as you build out your iteration. Dive in. The system is flexible and the customer community is extremely helpful. I have never experienced a community as awesome as the one that Workfront has created. Efficiency, streamlined/inline feedback, annotations of marketing collateral, portfolio optimization and overall increase in better metrix for marketing as it relates to work getting done. All of it... Resource Planning, Budget Tracking, Schedule templates, Agile queue, support queues, customization, reporting, dashboards. Ease of use and implementation. When I first began using Workfront, I noticed a few quirks, if you will. For instance, dragging and dropping is not as easy as you'd think and Ctrl-Z or Undo doesn't exist in the current functionality. I'd like to see functionality that tracks when stories are placed into or removed from a sprint. In general, more functionality in the Agile arena would be helpful. Strong executive support is recommended when a Workfront implementation is being considered. Because of the unlimited power of the tool, non-technical individuals can be easily intimidated when first introduced to the interface. Always make sure you've outlined the pain points that you're trying to solve so that you can reference them frequently to show the success that implementation of the tool brings to the organization. Workfront provides transparency into the work that we do to support our cross-functional teams. Centralized reporting is real-time and reduces PM workload to report status. -Project visibility across multiple teams - Workfront makes it easy for different groups to work on projects together & provide updates through the system, so all your project information is gathered in one place. The project details page & updates become your one source of truth when tracking why a project became late or who made decisions about certain project aspects. Workfront is a great project management tool that is still growing. While it has it's pros and cons & may not be 100% where you want it to be right now, they are always improving the site & listening to what their users want. "Keep Agency Organized and Informed"
Workfront is great for keeping our agency organized and in constant communication. Because of the forms fields, it allows project creators to input all of the needed information, which limits back and forth between specialists and creators, saving a ton of time. You're limited to time tracking within each task. I would prefer there was an overarching task for time spent doing things outside of specific tasks - such as organizing folders and campaigns. I also would like to see the recommended time eliminated. I feel it pressures employees not to take longer than requested, or if it takes them less time than suggested, that they didn't do the task well enough. Get a ton of training. The more upfront training and catchup training you can get on the software, the better. It's a great tool, but takes some getting used to and making sure you are using it most efficiently. It keeps our many clients projects organized. It limits the amount of back and forth between specialists and project sponsors. Workfront also helps our team members keep track of time spent on specific projects, allowing us to know which clients are taking longer and which employees are tracking a lot of hours and can't take on more new clients. "Useful tool for managing workflows "
As a content creator in a team that uses Workfront to manage workflows in producing creative, this software helps keep everyone involved on track. I especially like the accountability it brings to individual members. If they are late with a task, or holding up an approval, it's very obvious where the bottlenecks are. The "Tasks" can be confusing. There are parent tasks and child tasks for essentially the same task. This can lead to confusion about where people are supposed to make updates. Updates can very easily get "lost" in this jumble of seemingly redundant tasks. During your evaluation phase, make sure everyone who will be using it gets a chance to weigh in on their specific needs. Streamlining the fulfillment of creative in an in-house agency. It's definitely helped with accountability as everything is tracked in Workfront and available for everyone to see, as opposed to people being able to say they "didn't see an email" and holding up the process. My favorite use of WF is the timeline management system. Our project managers input the timeline, and you can export as an Excel file, PDF, etc. It is a very simple and easy way to keep track of deadlines and overall project development. I also like WF to track SOW. Our project managers handle this as well, but right on the front page you can export the SOW and share directly with clients, or internally. I wish it were easier to search for projects. A lot of the times I search by project title, but they do not show up. Instead, I have to rely on the project number or ID, which is not always easily accessible. Also, I wish it were a bit more user-friendly when it comes to tagging people in posts. I oftentimes forget because the tagging field gets lost in the "updates"/comment section. WF is a wonderful project management platform. As an avid user, I feel confident in our projects' progress because of WF. Without WF, it would be a lot harder to track the progress of our projects. It would also be harder to manage the SOW with our clients. We also use WF to store estimates, briefs, change forms, etc. which helps keep everything all in one place! I have used other project management platforms at other jobs, but WF is by far the best one I have experienced. "Using Workfront has made us better." I like the reporting functionality and the ability to build custom reports. The interface and usability of the product is second to none and the Communication methods of being able to comment on objects and allow people to respond via email and still append the reply as a log in the object has been a big win for us. Setting up can be time consuming if you don't already have a process in place, reporting is a bit limited and sharing of information is cumbersome. Workfront is not easy to use thus when you decide to go for it you should be well prepared by looking for a specialist but this software will make your company proud. I use this software to account for my time, communicate with internal clients, track my projects from start to finish, share proofs, and get feedback. I also use this software to generate reports which help us to make major decisions in our company. "Great for projects. Not for support tickets." Workfront works well for project management. You can even import a project from a 3rd party like Microsoft Project. Assign tasks and track costs, etc. The interface is simple. You can structure teams with managers and several levels of approvals. It also has a time sheet function that managers can approve weekly that shows exactly how many hours were spend on individual tickets or projects. We have been using it for ticketing. The live status reporting is clunky and tracking is difficult. There isn't a good dashboard to see and identify tickets or projects that are out of scope or past due. Only use it for project management. Cost tracking for projects was the primary purpose of choosing this solution. I really enjoy the alert email feature within Workfront - if I am tagged in a project and need to take action or review/approve a document, Workfront immediately alerts me via email., which is extremely helpful because I am not living in the system every minute of the day. the "search" component is not very intuititive when I need to reference an old project. It would be helpful if I could search for a project from a specific timeframe and within keywords. When I search for an old project or document today, I will search for the exact name of the document and it will come up at the very bottom of the page, rather being the most relevant at the top. Great product for project management if you are looking for a tool to use between cross-functional groups within the organization. Benefits of the system have included faster turnaround with project completion and an overall increase in project efficiency within the team. "Harder than it needs to be"
Workfront gives you a lot of options... I mean A LOT... like, too many. I would expect a tool like Workfront to make my job easier. That has not been the case. It could be that our team has not gotten it working the way it should be. Anyone who is thinking about using Workfront should know that there is a learning curve. You can't jump in and get it right away. It's not intuitive. With some time and effort, I'm sure it can be fantastic. Our entire Marketing department uses Workfront. Some people here like it more than others. I'm on the creative team and it has not made my job any easier. I just want it to tell me what is on my plate and which items are highest in priority, but that hasn't been the case so far. I'm sure we have realized some benefits but in my current role, I am not aware of any. I work at a Web Development company, doing primary front-end website development. Workfront Proof is our preferred choice to review and provide feedback during the development process. We take screenshots of the whole website and then give to the reviewer to check and make comments. Proof is very intuitive. For the reviewer, it's easy to quickly markup files/images and make comments. For the developer, it is easy to have the feedback connected to a visual and easily find and update bugs. When I first started using Proof, it would frequently freeze or crash, forcing me to refresh the page. However, after an update a few months back, it has been much more stable. We are solving our Quality Assurance needs, the ability to have an internal reviewer or a client evaluate our development and provide feedback. Because Proof is simple and visual in nature, we have found the communication from the client to us to be clearer than when we use other bug tracking solutions. Task management and timeline management is almost seamless, and I love that each team member is assigned to his/her respective task, as well as allowed to bill time to individual tasks. It's easy to be both detail-oriented AND understanding of the big picture when working within Workfront. Sometimes load times can lag, and I wish that it would be the default to always have a full page of tasks, rather than separating them out 1,2,3 or more pages. For new users, I wish it were a bit more intuitive, but training and hands on experience is the best way to learn within this system. Additionally, I wish that more users had administrative permissions/access, but that is more of an internal initiative to solve. Invest in the time it will take to train and onboard new team members to the software. It'll be worth it in the long run. "Successful Project Management With Workfront"
From the advantages of this program I can highlight not only the convenient management of all projects but also the ability to create reports. Thanks to this function, you can evaluate the success of each individual project. The program also allows you to work together on projects in real time. Maybe we worked with the service not such a huge amount of time, but during this time we did not reveal any serious shortcomings. In general, our wishes are more of a recommendation. We think the service can work well without them, but these wishes can improve the work at large. For example, the backup in multiple locations could become well the additional option of the service. I can recommend Workfront to companies that want to streamline work processes, manage to pass projects on time and do it qualitatively. The program allows you to configure panels, create filters and manage from one interface all tasks, resources and time. The program integrates with other services necessary for the fulfillment of project tasks. Using Workfront we can manage and monitor all current projects at any stage. Each manager can evaluate the success and progress of their projects. Workfront provides an opportunity to streamline workflows, prioritize tasks and perform all on time. "Helps with organization and efficiency"
I love that each project is its own separate link yet you can display them altogether or by portfolio. Helps our team keep organized regarding all of our business units, keeps track of creative team projects that span across multiple different brands and business units. There is no good calendar view, really hard to see exactly what's coming up this week. I wish we could see all of the projects that we needed to complete that week. If I pull a report it only lets me see tasks, which is helpful but not as helpful as it could be if it were project based or gantt-based. They don't respond quickly, if at all, to customer service emails. Pretty deplorable. We're able to track time and assign tasks to individuals to keep our email clutter down and hold everyone accountable. We've been on time with our projects far better than before using. Workfront is a great tool for project management tool that has been critical in completing several big projects efficiently and on time. It has a very wide feature set for tracking progress, prioritizing tasks and projects, and collaborating with other team members. While a little daunting at first, with great support and help, it became completely essential to getting our projects done. The interface is a little hard to grasp at first, but they have great training and support to help new users. Once you learn how to use it, the power and flexibility make up for the initial learning curve. Give it a shot. It has definitely helped us in our project management, so I would say give them a call and check out their demo to see if it will meet your company's needs. Workfront has been a crucial part of helping us stay organized and on time with big projects that have a lot of moving pieces and due dates. It really helps us prioritize tasks and commit to due dates while making it easy to stick to those dates. Workfront does a great job of giving you the flexibility to build out projects and set tasks to remind you of the necessary steps within the project. It's excellent to use in a team environment, where each team member can mark where they are in the process and everyone has an overall view of the project as a whole and what stage it is in. Sometimes the programs can have some limitations, such as not allowing you to rename certain titles or columns, etc. There are a lot of ways to use Workfront, so the flexibility can also be a bit overwhelming at times. Solving problems surrounding large projects with multiple people working on them and finding a way to provide reports to leadership about the progress of projects. "Not the right fit for our creative team..."
I acknowledge that Workfront has powerful features and can be highly customized; however, if your dev team lacks the available time to make the changes necessary there are other solutions more "creative/production team" friendly straight out of the box. Workfront's out-of-the-box interface is complex and clunky. Far too many layers and features for most mid-sized creative teams. It definitely requires admin oversight (as most process solutions do), but the education load on our admins seems much heavier with this product than with products like Podio or Alfresco. I believe that Workfront lends itself best to process-heavy/task-based projects. It is not the best solution for highly collaborative, content creation teams. As with any project/process management software, invest time on the front end to fully research your organizational needs. One downfall in our implementation of this product was accounting for individual team needs and not evaluating how team would collaborate with each other across the platform. If the process you are trying to manage is highly linear this might be the solution for you. If your needs are non-linear and highly collaborative, I recommend exploring other products created for your industry. Workfront is currently being used by our IT and Video Production teams to manage their projects and workflows. It seems to be the best fit for the IT team. The Video Production team needed to track their equipment, human resources, travel/time spent and Workfront allows them to add those layers to their overall project management. However, any time these teams need others within the organization to contribute to a project the process is cumbersome. With so many layers to a project all users (except the most advanced) seem to become easily lost in the interface. We're sorry your experience was not what you expected and we'd like to do what we can to make it right. I will be forwarding your message to the appropriate team within Workfront so they can follow up with you. Please feel free to reach out to the Workfront Customer Care team with any other concerns you may have. They can be reached at 844.306.4357. "Put a ring on it. " I have implemented Workfront several times and this is what I continue to find value in: The customization around building custom data, custom forms, custom reports/dashboards, layout templates, etc means that you have a lot of control with how your users interact with the system. Also, their development team listens to customers and implements new features accordingly. If you are exhausted from jumping from one tool to another, Workfront is a great investment for medium to large organizations. From my experience, Workfront sells itself as a solution to a problem that it does not solve: Aligning small teams with the organization. In other words, if this is supposed to be the selling point for why a small team should ditch their current favorite small team tool (trello, asana, basecamp, jira, etc) I don't think WF ever pays off for these small teams like their old tool did. to the small team inside a large organization, It ends up feeling more like meeting organizational policy compliance rather than more efficient collaboration. If your a startup, either use WF for everything or not at all, and hire a Web developer part-time to assist with integrations. If you are a medium to large organization and are bought into Salesforce, Workday, and other Saas solutions, this is a no brainer. Workfront is the open arena where PM's and project teams can coordinate strategies across business units. I think Workfront's sweet spot is strategic initiative management. "A scalable, highly flexible work management platform that also scores high on ease of use"
The flexibility and expandability; the custom forms and fields allow Workfront to be easily customized for the way your organization works. For end users, the interface, when setup appropriately allows them to get to what they need quickly and easily. The flexibility and scalability is both a blessing and a curse during configuration and setup. There are 5 or 6 different ways of achieving the same goal in Workfront. Deployments must be made with patience and rigor in mind. Workfront also assumes a strong project management background as part of their configuration and implementation process. We came into it without much experience here, so the learning curve was intense. Creative talent asset management and visibility. Before Workfront, we could not accurately track the creative value put towards projects, and therefore billing for that value was a wild guess. Now we have real-time visibility into costs v. revenue that we can share with the sales org, so they can track creative ROI along with all other products and services. "Workfront Works, but needs team buy-in"
Workfront has tremendous project management capabilities, from storage and organization of documents to in-browser editing functionality, not to mention it's core functionality as a tremendous organization-wide ticketing system and project management tool. This isn't something you can use by yourself. This is a whole-team kind of product. It requires buy-in not only from your department for task management (giving, say, your workfront administrator a clear view of who has capacity, who is slammed, etc.) but also from outside your department, for everyone else who is in a client role using the product as a ticketing system to submit requests. Workfront is a strong product with fantastic features, but do not trick yourself into thinking that you can use it appropriately without complete organization-wide buy-in. Put together a plan (and feel free to use WorkFront resources to do so) to get buy-in from everyone else. That will make it a dream software to use. We use workfront for a team of 50+ communication/design/editing/web professionals for task and project management, and as an organization-wide ticketing system where our colleagues/clients can submit work to us, our administrator can assign it appropriately, and we can manage the project from beginning to end, all within the workfront system without a single email sent or product storage platform (like dropbox) used. "WorkFront can turn an unorganized team/company into a well oiled machine"
I would say it's a 3-way tie between how easy it is to build and update custom forms, updating project timelines and building reports/dashboards. Before my team started using WorkFront, we had to use 3 different systems to get a single project started because there was no central place to house all the information and capture what the details were for an update to our website. Since moving to WF in 2014, i cannot think of using another system. As a project coordinator i'm responsible for reviewing project request submissions, then converting them into projects and building timelines around all the deliverables and due dates. I can honestly say the system is easy to learn and intuitive to use. I can build timelines in mere minutes, assign out tasks to team members, build a report or dashboard of project requests stats for my manager, post an update on where the project stands, etc. The list goes on and on. It takes a universal design seen a lot on social media platforms and uses it as a skeleton for how easy the system is to learn and use. Most changes or updates can be made in seconds and helps keep everyone organized with their plate of work. I heavily dislike how WF as a company seems to spend their time updating parts of the site that my team does not use on a regular basis, or on things that nobody was asking for. Case in point, they just released a system update to include emojis in the update section of a project. This is an unnecessary update that nobody was clamoring for, and when it was pushed live it broke other things on the site my team uses on a regular basis. So as a company they need to focus on making updates to more important things that need to be worked on. i would recommend lots and lots of training before throwing your users into the deep end of the pool to use the system. It's easy to learn and very straightforward, but i will admit it takes a bit to get use to how everything works. So take as much time using and practicing using the system before implementing it throughout your organization. As I mentioned before, before my team started using WorkFront, we had to use 3 different systems to get a single project started because there was no central place to house all the information and capture what the details were for an update to our website. Now we have a central intake system that houses all our requests, and makes it easy to review, convert and assign our to the appropriate team members to make the updates and push live to our site.
" facilitates the administration of projects with solid training, support and reporting functions." We have consolidated all project effort internally to workfront. It is great seeing time use and what projects are being supported. Probably the best feature is reporting and dashboards. You can pull data anyway you like depending on your role. Nothing limits your imagination. Last, they have a great training program. As long as you want to be involved, you can take advantage of their online classes. They also have online or live classes, either work. When I don't know something, I jump on a class, search their knowledge bank the add to our own wiki. It is limited how you integrate with support tools for handling customer escalations. Also, if you don't work within their model, it is harder to use. After our initial implementation, they could have done a better job of helping us engage our employees. Since the system isn't "fool-proof", we could have used more tips. I think user groups would have helped more. Fully understand how you do business, prioritize what you need most before moving forward. We used to utilize 4 different systems to manage projects, status, time tracking, etc. It is nice to manage things in one place. Another nice save "solve" was the use of custom data. We are no limited so we were able to save time and storage by using custom data to track information that ties to our customer projects. Very useful when consolidating systems. "It is a good software for a company that wants to fully commit to using a work management system." I like the potential power of it, the ability to be able to track vendor work hours, share files outside the company with creatives, etc. I also like the ability to share large files and the versioning capabilities. We inherited a legacy instance of the software, and with it were a lot of "bloat" content programmed into it. Had we had more resources and/or budget to hire workfront's consultants to clean it all up, we would have done that. However, for various reasons, we have not been able to do that, so our instance is a bit clunky. Make sure you plan out what you are going to want to use workfront for. Don't just jump into it because you may regret that approach. If you implement it with a methodical approach, getting all the necessary stakeholders involved from the beginning, you'll have a more successful deployment of the software. Marcom and Digital Marketing and Product Marketing workflows, etc. "Not a fan at first, but now can't live without it"
Workfront is a great way to organize the entire foundation. We have 50+ employees and a lot going on at one. It's been a great way to filter requests and see how many requests each department is getting during the year. I like that I'm able to assign those I manage to tasks and all of the information is inputted into the task vs. sending even more emails back and forth. It's been a great way for our team to utilize emails for outside support instead of internal communications. Because we do have so many requests coming in, on occasion they get lost in the shuffle. We also have projects that get forgotten about an update has not been made or if some information is still sent through email but also in WorkdFront. It took a while for me to adapt, and I wasn't a huge fan of the change, but now that I know how to work it, I could not imagine work without it. It's a great tool and we have one person dedicated to setting people up in Workfront and teaching us how to use it along the way. I would recommend having someone just oversee WF content for this program to be successful. We sent A LOT of emails before getting WorkFront. Projects were all over the place, we didn't know who the real owner was and things fell through the cracks. With WorkFront, we are able to see where the project is being held up, who the contact person is and create a schedule everyone can work with.